Students can try and test a variety of blast offs and see the results with this variety pack that includes a mix of Quest Novia, Sprint, and Totally Tubular rocket styles. 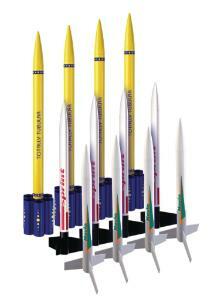 Rocket altitudes range from 1,400 to 1,800 feet and use either balsa or tube fins. All rockets use a streamer system for smooth recovery. 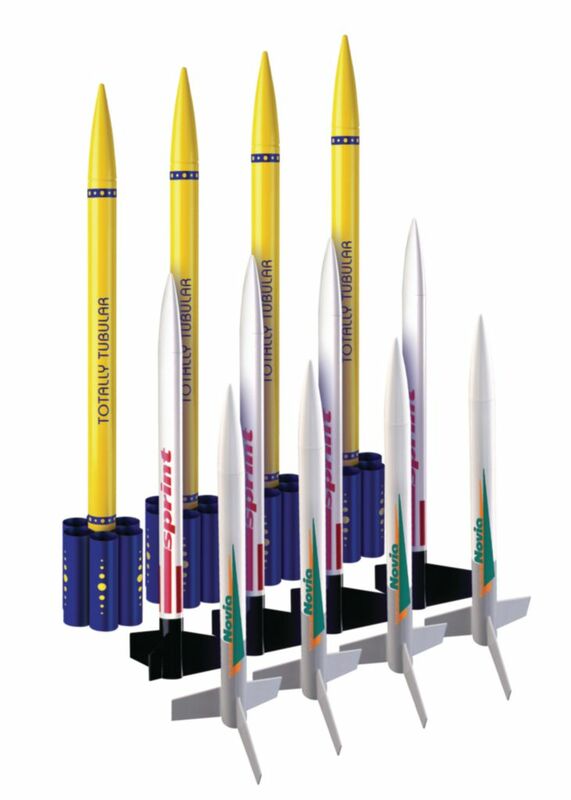 Four rockets of each type are included. Length: 11 ½ " (Novia), 12 ½" (Sprint), 15"(Totally Tubular Tubes). Diameter of each: 0.8".